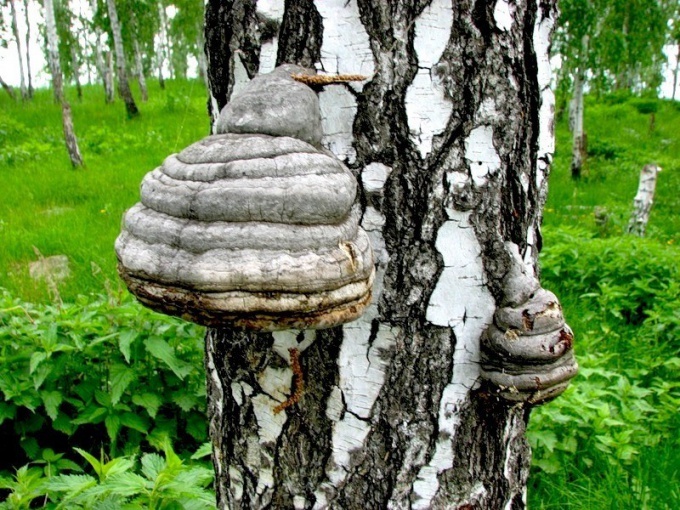 Modern medicine officially recognizes, the birch fungus chaga medicinal plant. It contains a large number of acids, mineral substances, salts, and fiber. Chaga is included in the composition of medicines, helping in the treatment of many diseases. The healing effect of the fungus depends on its correct preparation. If you just brewing a mushroom-like ordinary tea, it is good that it will, but to a much lesser extent, as under the influence of the hot water part of the healing components may be destroyed. To properly prepare chaga, cut it off with birch, rinse the pieces and pour boiled water whose temperature does not exceed room. Put the chaga into a ceramic dish, it should stand for 6-7 hours. Remove sodden chaga and wring it. Skip mushroom using a meat grinder or grate. Heat the water in which the soaked mushroom to 40 ° C, then pour it over mashed chaga, taking one part chaga to 5 parts water. Try not to overheat the water so that the fungus has not lost its medicinal qualities. Chaga steep in a cool place for about two days. Filter the infusion and store it in a cool, dark place. The infusion should be taken for four days after it is ready. There are accelerated recipe birch fungus, which can achieve a sufficiently high therapeutic effect, despite the fact that it is inferior to the previous recipe. Chaga rinse them, chop them into small pieces and put them in a jar. A quarter of a kilogram of the fungus need to take liter of boiling water and pour it into the prepared jar. The minimum time for the infusion is around 7 hours. Filter the infusion and drink it the next three days. For the treatment of skin diseases is prepared as a decoction. Steep a couple of tablespoons of chaga 500 ml of boiling water, add a decoction of plantain. From the resulting broth make compresses. If in handy to add a bit of chamomile flowers, leaves succession, currant and birch, and then pour it all into the tub, get a restorative bath with chaga, which is necessary for half an hour. The infusion of chaga prepared, pouring 1.5 cups of grated chaga five cups of boiling water. For nervous disorders it is recommended to add the broth of fungus herbs such as oregano, mint, calendula and hawthorn. One part of the fungus brew-five parts of boiling water. The bath is desirable to take no longer than 20 minutes.